Free Download Banking Awareness Books and Study Materials PDF for Competitive Exam by Various Publication. We are sharing you General Awareness based Banking Awareness Capsule for IBPS PO, SBI PO, RBI Grade B and Other Bank PO and Clerk Exam. Banking Awareness is Commonly asked in the General Awareness Section of all the Banking and Insurance Exam. 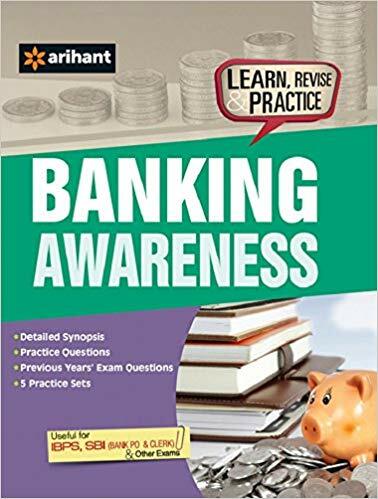 These Banking Awareness Books Contains Topic Wise Banking Awareness Terms Explanation PDF which will help in Upcoming Bank, Insurance and Other Competitive Exam. Free Download Disha Publication Banking Awareness Book PDF for IBPS Bank Exam. Banking Awareness for SBI/IBPS Bank Clerk/PO/SO/RRB & RBI exams is the perfect book for the exam aspirants. This book contains all the topics that an aspirant requires to study in order to stand a good chance to clear Bank PO and other such exams. 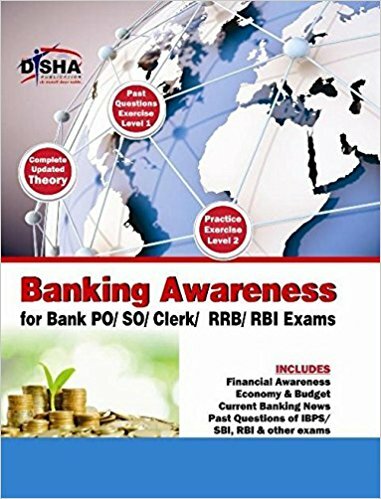 Banking Awareness Book by Disha Publication has been comprehensively divided into sixteen chapters each covering a different part of the syllabus. There are chapters which are completely devoted to the topics of the Indian Budget, Economy of India and the Financial Awareness. Free Download Arihant Publication Banking Awareness Book PDF for IBPS Bank Exam. Arihant has come up with a fully revised and updated edition of the highly popular Banking Awareness in the view of the upcoming Bank PO and Clerk examinations like SBI PO, SBI Clerk, IBPS PO, etc. This book is equally useful for IBPS, SBI and various other banking recruitment examinations conducted across the country. This book has been divided into eleven chapters namely Indian Economy, Origin, Development of Banking in India, Banking Regulation System of India, Financial Reforms in Banking Sector, New Banking System, Banking Innovation in India, Financial Institutions in India, Money market, Capital Market, Insurance, Industry, Trade and International Organisation and Tax, Budget. Each chapter in the book contains ample theoretical content as well as ample number of solved problems based on the concepts discussed in the chapters. Free Download Money Banking and finance awareness book by N.K.Sinha for SBI and IBPS exam. Money Banking & Finance is an exhaustive guide to the financial systems of India, with special focus on the period after 1991. The economy of India is changing at a great speed. With globalization and new markets, banking policies, financial plans and structures are constantly changing. These financial institutions have been in constant flux since the formation of the Indian economy. Money Banking & Finance provides students with a sound knowledge of this process of evolution, so that they can accurately understand the present state of the Indian economy and its financial systems. 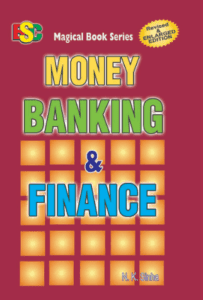 Money Banking & Finance contains an exhaustive discussion on all topics related to finance and banking such as Money and Banking Systems, Financial Market, Economy and Finance, and International Trade among many others. It is particularly useful for candidates appearing for the Bank PO examinations as it provides ample knowledge on the current state of Indian economics.